Say hello to beautiful and defined soft curls with the new collection featuring natural ingredients, Rhassoul Clay, Activated Charcoal and Bentonite Clay, all known to effectively detoxify, cleanse and replenish moisture. 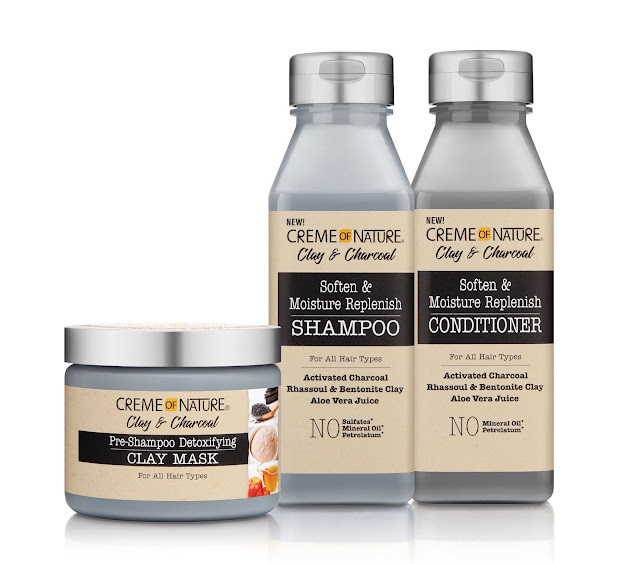 Trusted hair care leader Creme of Nature® is excited to expand its portfolio with a new Creme of Nature Clay & Charcoal Collection for women with natural textured hair. Infused with a blend of Moroccan Rhassoul Clay, Activated Charcoal and Bentonite Clay, the new products target consumers who seek beautiful, defined curls with products to cleanse, purify and detoxify hair. 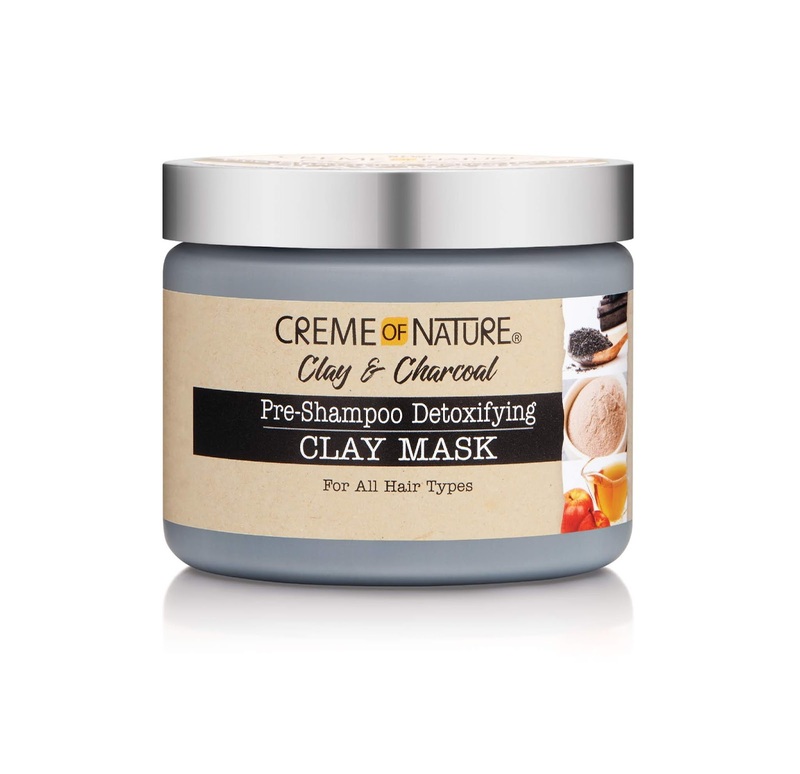 Individually, Rhassoul Clay is known to reduce dryness and restore moisture, Activated Charcoal effectively purifies hair, while Bentonite Clay detoxifies and restores hair balance by removing buildup. This detox and softening product line will thoroughly cleanse the hair while enhancing curl definition and curl clumping; ultimately, leaving your hair living its best life! All products have been formulated without petrolatum or mineral oil and contain high-quality ingredients, resulting in healthy-looking and clean hair for better management and styling. Pre-Shampoo Detoxifying Clay Mask 11.5 Oz. (SRP $6.48) – Detoxifies by removing buildup and infuses deep moisture. Soften & Moisture Replenish Shampoo 12 Oz. (SRP $5.48) – Gently cleanses without stripping hair of its natural moisture and controls frizz. 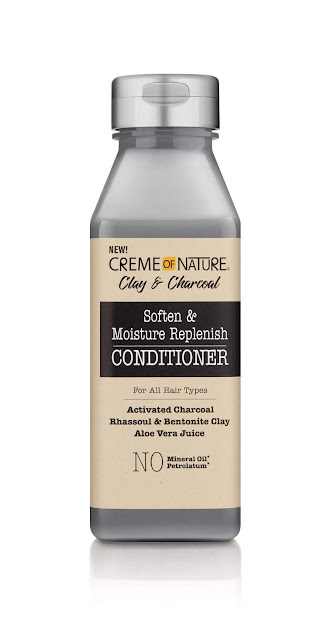 Soften & Moisture Replenish Conditioner 12 Oz. (SRP $5.48) – Enhances natural shine and softness.